Good has evil, hot has cold, yin has yang, and now the Hulk has the Iron Man Hulkbuster armor to balance him out. 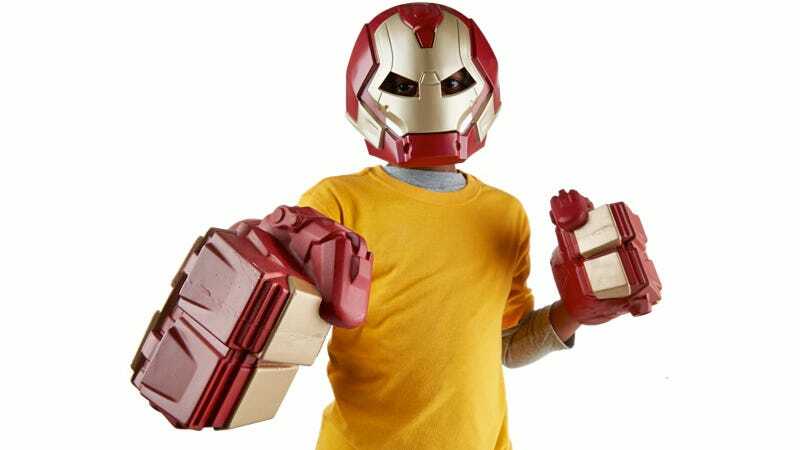 And while Hasbro has sold giant foam green Hulk hands for years now, we're finally getting a pair of equally intimidating faux Hulkbuster gauntlets that lets kids smash everything in their path, but in the name of protecting humanity. "It's OK that I broke that vase, mom, I'm one of the good guys."